From ancient times and across all cultures, gemstones have been prized, not only for their beauty, but also for their special powers to protect, heal, guide, and enlighten. As far back as the Stone Age, crystal amulets were worn for protection against harm, as well as for decoration. Ancient Egyptians used gemstone amulets and charms for adornment, healing, protection, and the ability to see into the future. Greek mythology frequently refers to gemstones as objects of great power. Gemstones were used extensively in ceremonies and initiations by the Native Americans, the Mayans, and Aztecs. The breastplate of the Jewish High Priest was set with precious stones to convey power to the wearer. People around the world have sought the special benefits associated with wearing specific gems. Here are seven popular gemstones and their purported powers. Alexandrite is emerald colored by day and rich pink-red by night. Since the discovery of the rare and unusual Alexandrite gem in Russia, it has been attributed with the power to bring good luck, prosperity, and love to its wearers. Alexandrite is said to promote emotional well-being and positive self-esteem. It brings hope for those who are in despair about their lives by helping its wearers appreciate the beauty of the world around them. It has been used as an aid for concentration and to strengthen the ability to learn. It is said to improve intuition and creativity. Alexandrite is also a healing gem. It is recommended for those recovering from surgery, prolonged illness, and for those facing chronic disorders. It can assist the body in restoring mental and physical energy. Contemporary practitioners of crystal healing use this gemstone for treating afflictions of the spleen and pancreas, as well as the regeneration of neurological tissues and in treating Leukemia. For centuries, many mystical powers have been attributed to amethyst. In ancient times, drinking from an amethyst cup was done to protect against intoxication. Amethyst was believed to have the power to quell a range of excessive physical appetites and indulgences. Early Egyptians used amethyst to ward off feelings of fear and guilt. In the Middle Ages, soldiers wore amethyst to help them avoid temptation and to keep them clear-minded when using weapons. It was also worn as protection against witchcraft. The sobering effect of amethyst is believed to sharpen mental acuity and improve decision-making abilities. Leonardo Da Vinci wrote that amethyst holds the power to dissipate evil thoughts and quicken one's intelligence. For centuries, healers have used amethyst to increase their psychic abilities and intuition. Across many different cultures, the amethyst is considered a symbol of peace and unification. It is thought to bring about feelings of serenity and calmness. Some naturopaths use amethyst to treat insomnia, depression, and sugar imbalances. When worn close to the head, amethyst is an aid to alleviate headaches. Amethyst has also been used to help people suffering from faulty memory. The attributes of aquamarine were first recorded by Damigeron in the second century BC. “This stone is good besides for damage to the eyes, and for all sickness, if it is put in water and given as a drink.” Ancient Roman healers used aquamarine to cure ailments of the stomach, liver, and throat, and to reduce anxiety in their patients. They used aquamarine carved with the figures of frogs to help reconcile enemies and make them friends. Believing that aquamarine came from the treasure house of mermaids, ancient Greek and the Roman sailors wore aquamarine amulets to ensure their safe and prosperous passage during their seafaring journeys. Ancient Sumerians, Egyptians, and Hebrews highly prized aquamarine as a symbol of happiness and everlasting youth. In the Middle Ages, aquamarine was worn to calm anxiety. It was also used to reawaken the love of married couples. Its soothing effects on couples helped them to work through their differences resulting in long and happy marriages. At that same time, throughout Europe, aquamarine was considered an effective antidote against poison. It was also the most popular of the “oracle” crystals. When cut as a crystal ball, it was thought to be a superior stone for fortune telling. Today aquamarine is considered a symbol of courage, friendship, and loyalty. It is also considered to be a talisman of courage and preparedness. It is thought to bring feelings of peace, love, joy and happiness to those who wear it. Aquamarine is believed to have an energizing quality that encourages spiritual harmony and balance. If you dream of aquamarine, it is said that you will make new friends. Wearing aquamarine earrings is thought to attract love and affection. Citrine has been used since ancient times for its purported beneficial powers. Citrine is associated with the values of hope, cheerfulness, youth, health, and fidelity. Ancient Egyptians used citrine gems as talismans. The ancient Greeks carved iconic images into citrine gems, and Roman priests used citrines for their sacred rings. Because of its beautiful sunshine-yellow color, citrine is thought of as a joyous stone that gives off positive energy that brightens the lives of those who work with it and wear it. Citrine is also known as the "merchant's stone" because it is believed to attract prosperity, it is suggested that carrying a citrine in one’s purse or wallet will attract money and stop excessive spending. The gift of a citrine angel or sphere to a newborn is believed to bestow intelligence, health, happiness, curiosity, confidence, and healing wisdom. This gem is also known as “healing quartz,” because it is believed that citrine promotes vitality and energy in whomever wears it. Citrine has been used to relieve backaches and problems with the liver, spleen, digestive system and the bladder. It is also used to combat depression, phobias, and fears. It has also been said that citrine purifies the system and may help counteract the toxic effects of many pharmaceutical medicines. It stimulates intellect and mental activity and overcomes the difficulty one may have with verbalizing thoughts and feelings. Carrying a Citrine is believed to attract love and happiness, and guard against those who would break your heart. It is also an effective shield against spite and jealousy. Throughout history, the diamond has symbolized eternal and lasting love and been attributed with the ability to give courage. Diamonds represent faithfulness, purity, innocence, and constancy. 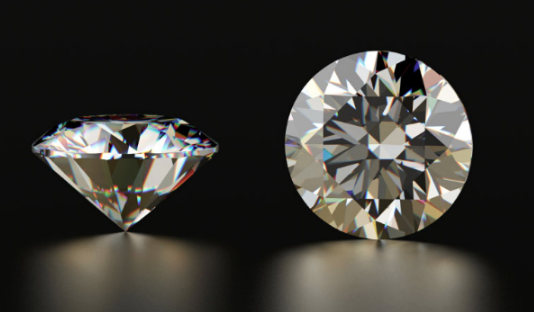 The diamond is considered a gemstone of the intellect. It has long been used as a powerful talisman with healing powers, especially for the mind. It is believed to have the ability to bring about mental clarity to help prevent misunderstandings and to aid in conflict resolution. During the Middle Ages, diamonds were thought to alleviate pituitary gland disorders, cure brain illness, and draw toxins from the blood. Wearing diamonds is said to make people happier in their relationships, more successful at work, and helps to develop inner strength. Throughout history, the emerald has been associated with various goddesses of love and beauty, such as Venus. It has been an enduring symbol of romance, hope, rebirth, and has been considered an aid to fertility. The emerald is believed to bring about passion, bliss, and unconditional love. In medieval times, emeralds were given to spouses to enable the wearer to control passion and lust in order to prevent unfaithfulness. It was also used as protection against evil. Wearing an emerald is believed to improve memory and increase intuitive intelligence. It helps the wearer to think clearly about the past, present and future. It promotes feelings of encouragement, calmness, and balance. It also stimulates creativity and restores optimistic hope in dreams and visions. The emerald has been purported to have the power to cure heal disease, including stomach problems, control epilepsy, and stop bleeding. It was also thought to be able to ward off panic and keep the wearer relaxed and serene. 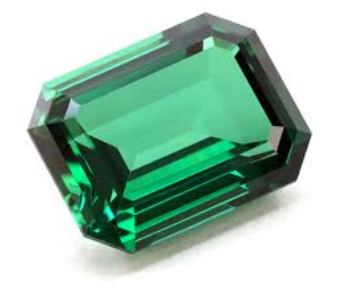 Today, emerald is a symbol of loyalty, new beginnings, peace and security. Garnet has been used as a sacred stone by Native Americans, South American Indians, the Aztecs, various African tribes, and the Mayans. Garnet is a symbol of fertility and the feminine life force. It is believed to bring about peace, prosperity, and good health. 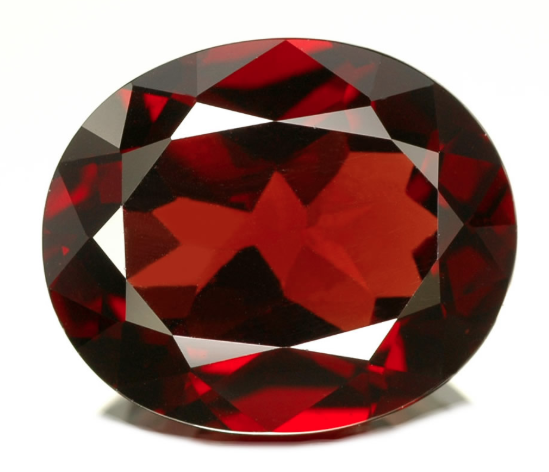 Garnet is also known for its stimulation of creative energy. It inspires love and devotion. The garnet symbolizes deep and lasting friendship and makes an excellent choice of a gift for friends. It is believed to aid in the healing of broken bonds of love. A garnet stone is often gifted to a loved one before starting a journey to facilitate a quick return. Garnet helps to overcome inhibitions. It opens the heart and bestows self-confidence. Garnet is used in the treatment of melancholy and depression by acting as a heart and blood stimulant. It is believed to boost the immune system and increase energy levels. Because the gem is believed to attract people to the wearer, garnet is considered extremely beneficial in the realm of business success. It is especially helpful to people starting home businesses. Watch for our Mystical Powers of Gems - Part Two for learn about other favorite gemstones and their magical powers! At Turley Jewelers, we use only the finest quality gemstones in our jewelry designs ranging from traditional to avant garde. We invite you to visit us! There is always plenty of free parking. We are located at 11219 South Dixie Highway, Pinecrest Village, Miami, FL 33156. If you have any questions, just give us a call (305) 252-1123. We are open Monday - Saturday, 10am to 6pm. We look forward to meeting you! Older PostRose Gold Is In Vogue!